Nightworld, Volume 1: Midnight Sonata is one of those books that's got a little bit of everything. In fact, the Adam McGovern and Paolo Leandri collaboration is wildly imaginative and filled with drama, melancholy, love and bombastic evil. Not only that, but the illustrations are a throwback to Silver Age comics. This February, Image Comics will offer the work in TPB form for all readers. 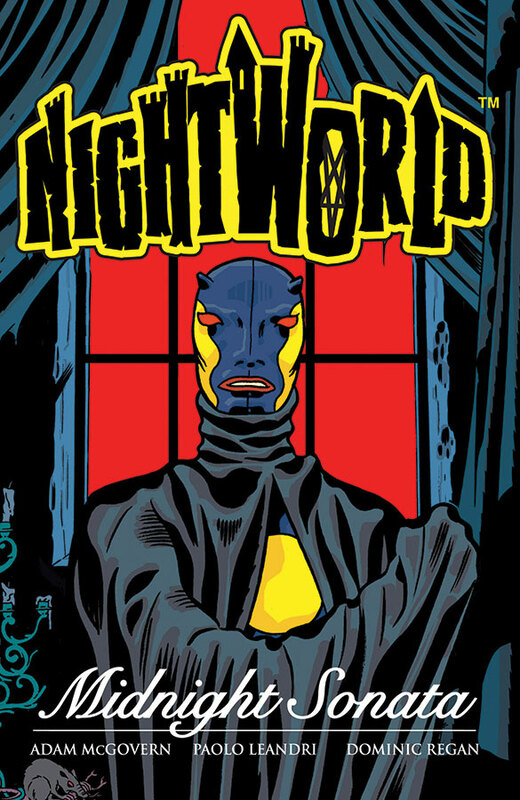 “Nightworld is a reliquary of my regrets about human reactions to trying circumstances, a treasure-chest of Paolo’s and my passions for midcentury pop culture, and an open vault of our ambitions for how fun and adventurous comics can be,” McGovern said. Plenilunio was once a man. But when his love, Lidia, fell into a wandering sleep, he bargained with dark forces and took the form of a demon. And Lidia remained trapped in her dreams. Plenilunio seeks the Soul Key, an artifact he believes will both return Lidia to life and restore his human form. On Plenilunio’s side are a kindly old necromancer and the old man’s granddaughter. Standing in his way are Hellena and Hotspot, two minions of the Devil himself, who isn’t about to let a soul slip away easily! Nightworld, Volume 1: Midnight Sonata will be in comic book stores on February 25 (Diamond Comic order code DEC140677) and in bookstores on March 10 (ISBN 978-1-63215-205-3). It is available now for pre-order.